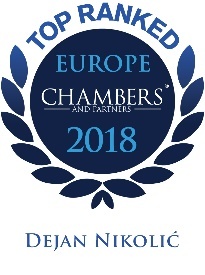 "Founding partner Dejan Nikolić is highly respected by his peers and has considerable experience of representing banks and companies in corporate and M&A issues particularly in the energy, real estate and telecoms sectors in both Serbia and Montenegro. Interviewees say he is 'open-minded, always ready to discuss new options, pays attention to details and is client-oriented.'" Dejan is a Founding Partner with over 25 years of professional experience. 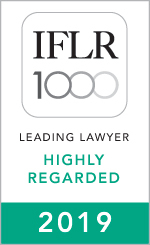 He has practiced in all areas of Corporate & Commercial law, advising many foreign entities including electric energy producers and traders, multi-national manufacturers and trading companies, banks, telecommunications companies, local commercial entities and local governments. Dejan represents banks and borrowers on project finance, credit facilities, derivatives, structured finance and general banking matters and has an extensive background in banking and finance matters. Dejan has advised both private and public stakeholders on matters including legal due diligence, drafting transaction documents and communication with authorities and regulators. University of Belgrade, Faculty of Law (1990), LL.B.